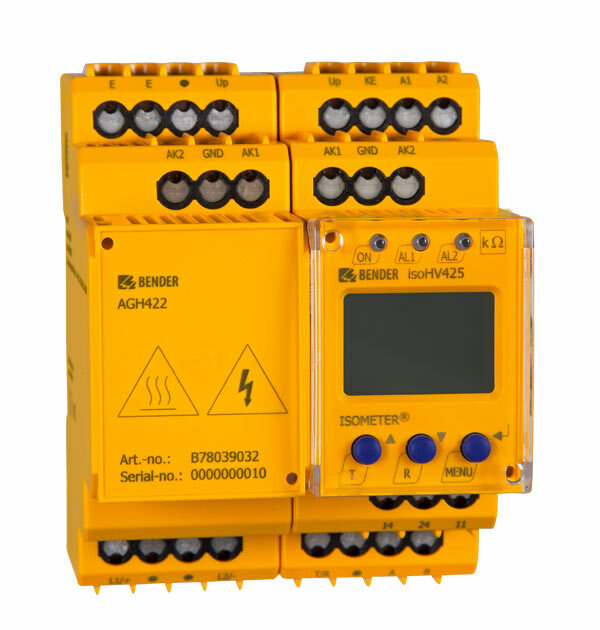 The ISOMETER® of the IR470LY2 series is designed to monitor the insulation resistance of unearthed AC and three-phase systems (IT systems) AC/3(N)AC 0…793 V. The device series is particularly suitable for systems requiring a high insulation level. The device can also be used for monitoring de-energized loads. 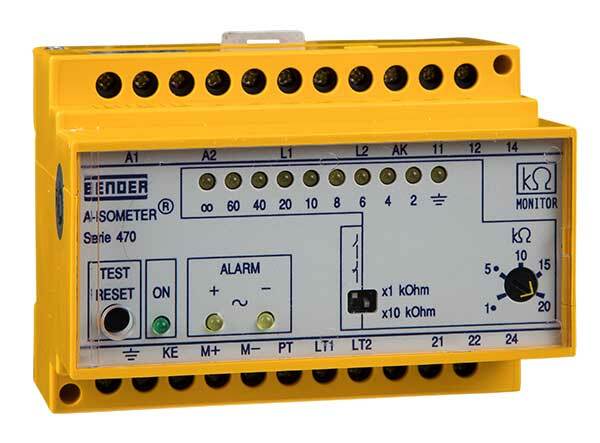 Two separately adjustable response values/alarm relays allow a distinction to be made between "prewarning" and "alarm". In combination with a coupling device the device series can be used for higher voltages. The systems to be monitored should not contain DC components. Due to the measuring principle, insulation faults behind directly connected rectifiers are indicated with increased response sensitivity. The set response values apply to the pure AC system only.